The price of doing business in China. We were on hand last week at Auto Shanghai 2017 and experienced for the first time in the flesh the Land Wind X7, the Chinese-built clone of the Land Rover Range Rover Evoque. Seeing it up close in person, we were astounded at just how much it looks like the Evoque, and Chinese buyers have responded in kind to that. But not so much Land Rover. Speaking to Automotive News, Jaguar Land Rover (JLR) CEO Ralf Speth is still quite annoyed by the Land Wind’s very existence. In addition, there's been a lack of progress to get Chinese authorities to crack down on what Speth views as blatant copyright violations. He wants the Land Wind X7 to be deemed illegal, but it doesn’t look like that’s going to happen. 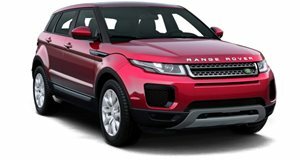 One reason is that the Chinese government, only last year, cancelled Land Rover’s patent on the Evoque in China. In fact, JLR even builds the Evoque in China (and the UK). But what really gets Speth's blood boiling is the fact that Land Wind, and specifically the X7, has become a strong seller in China. Perhaps the main reason why is that it costs a third of the price of the Evoque, but still. Copying is copying and Chinese authorities clearly don’t see anything wrong with that. "They’re doing very well," Speth stated in regards to the Land Wind X7’s solid sales numbers. "It’s a good car. We know; it’s our car." We're guessing the legal fight will continue, but considering the Chinese have built a wall (pun intended) around to protect its domestic automakers from stuff like this, we doubt JLR will get its way.